What Is The Biggest Casino in Manitoba? - Casino Answers! Casino Answers » Casino Trivia » What Is The Biggest Casino in Manitoba? What Is The Biggest Casino in Manitoba? Manitoba, located in the middle of Canada, also ranks right in the middle of things when it comes to population and area. The province is the eighth largest and also the eighth most populated province in the country. It is one of Canada’s prairie provinces along with Alberta and Saskatchewan. These provinces are noted for their abundant grassland, hence the ‘prairie’ name. The flora and fauna of Manitoba are extremely diverse, especially between the north and south of the province, with the north being home to polar bears, while the south has more forest-based wildlife, such as cougars and wolves. This is also due to the geography of the region, with the south having more forest land. The capital of Manitoba is also the province’s largest city, which is Winnipeg. Winnipeg can be found in the south-east of Manitoba, and is home to various sports teams, as well as a strong economy and diverse culture. On top of all that, Winnipeg is also home to two casinos – McPhillips Station Casino and Club Regent Casino. McPhillips Station Casino is, in fact, the biggest casino in Manitoba, and it is owned by the Manitoba Lotteries Corporation. As it happens, the Manitoba Lotteries Corporation also owns the city’s other casino, the Club Regent Casino, meaning all casino revenue goes directly into the province’s coffers. McPhillips Station Casino, located at 484 McPhillips Street, was opened in 1993 and is open between 9:30am and 3am Monday through to Saturday, while it is open from 11am until 3am on a Sunday, and the tables open at 10am and midday respectively. The casino is also closed on Good Friday, Easter Sunday, Remembrance Day, and Christmas Day. The interior of the McPhillips Station Casino attempts to stay true to the buildings previous life – it has two levels of old-fashioned decor, covered in molded fixtures, rich woods and ornate decoration, taking you back to the turn of the century and making you feel like you are a world away from the bustling metropolis of Winnipeg. Even the exterior of the building takes you back in time, as it still has the look and feel of the old train station that was located on that site. It is a real world away from the multi-million dollar modern complexes that you can come across when traveling around the world’s casinos. But while the decor of the building is old world, what it offers its patrons is definitely up there in terms of modern casinos. 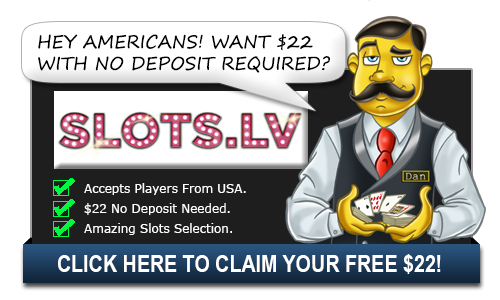 For slot machines enthusiasts, there is over 800 for you to play on, with around a quarter of them being low stakes machines (penny and two cent slots), while they go right up to $100 machines for those of you out there that have a much larger bankroll. And if slot machines are not for you, the selection of table games at the McPhillips Station Casino offers a great variety without offering too much and diluting the games on offer. The games you would expect to see – blackjack, roulette, craps and baccarat – are there, and there is a keno room for you keno players out there. However, there is also some different games for you to try your hand at, such as Fortune Pai Gow Poker, Squeeze Baccarat, Texas Hold ‘Em Bonus, and a game called High Card Flush, which is claimed to be first played in Canada at McPhillips Station Casino – the game is like Casino Poker, to an extent, but it is based around flushes, as you would have derived from the name. McPhillips Station Casino also has a poker room, which offers sit-and-go tournaments as well as cash games, which tend to be $1/$2 Texas Hold ‘Em, as well as $2/$5 depending on the night. The poker room is open from 6:45pm until 3am Monday to Thursday, 1:45pm until 3am Friday and Saturday, and Sunday’s opening hours are 2:15pm until 3am. If you do not want to spend all night playing on the slot machines and the tables at McPhillips Station Casino, you can spend your time in The Club, which is in the Upperdeck Sports Bar. The Club has live entertainment several nights a week. If there is no entertainment on, the Upperdeck Sports Bar has giant screens to watch your favorite sports team and relax with a drink or two. If sports are not your thing, Dixie’s Lounge and the Double Down Lounge may be more to your liking, with Dixie’s Lounge evoking memories of times gone by, and the Double Down Lounge giving you a great view of the casino floor below. And for more dining, Michele’s Restaurant is McPhillips Station Casino’s buffet restaurant. McPhillips Station Casino is a classic casino – it does not try to win you over with bells and whistles, it is simple and honest, with a great selection of games and great surroundings. Even if you do not want to play in the casino, there is a lot on offer, and it is a great spot in Winnipeg to have a night out.